Project Discovery brings real world scientific research into EVE Online. 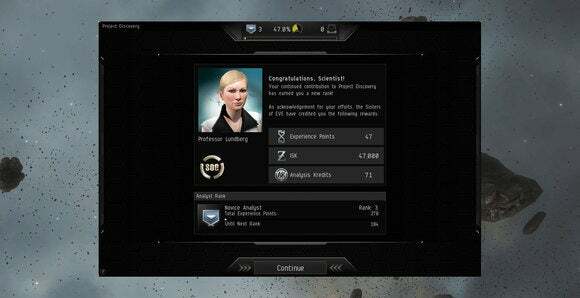 Szantner is standing on-stage at EVE Fanfest 2016 talking about Project Discovery, a minigame in EVE Online that’s quite a bit more than it appears. Project Discovery’s leader in EVE Online, Professor Lundberg. 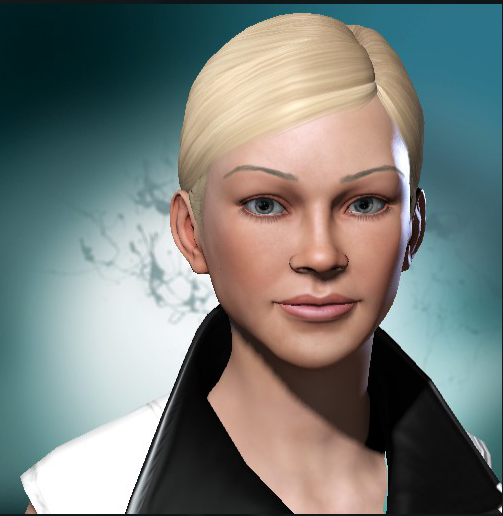 In-game, Project Discovery is a “classified research program” run by the Sisters of Eve to analyze samples of the Drifters, a mysterious and threatening faction in New Eden lore. Players are told that these biological samples hold the key to Drifter technology. But out-of-game, Project Discovery is actually a joint partnership between EVE developer CCP, MMOS, and the Sweden-based Human Protein Atlas (HPA). The goal? 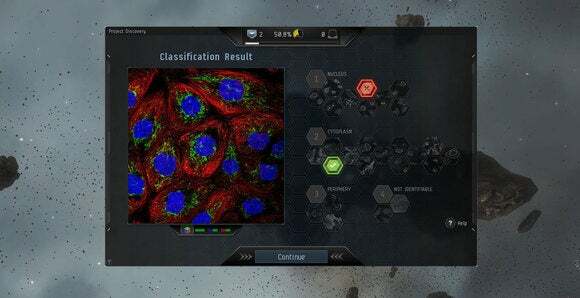 To put EVE Online players to work classifying human proteins. “Fifteen years ago the Human Genome Project was finished. Even though it was so long ago, we don’t know what the proteins in our bodies do. That’s what we’re trying to figure out at the Human Protein Atlas,” said HPA’s Emma Lundberg, director of Subcellular Atlas. And figuring out what human proteins do is often related to knowing where human proteins are located—mapping out where each protein is found in the body by way of cell imaging. “Since we have 20,000 genes and a lot of different cell types, that makes a lot of images,” says Lundberg. Which is where EVE comes in. Protein mapping the Project Discovery interface in EVE Online. Citizen science—scientific contributions done by people who aren’t traditional scientists—has been around for a while, but one of the most notable examples in gaming is Foldit, which has players determine protein structures through a gamified set of rules. The difference with Project Discovery is that it’s not a standalone product. It’s inside EVE Online itself. Why? Because it keeps people participating. “The biggest challenge [with citizen science] is the long-term engagement of users,” says Szantner. He and a partner founded MMOS a few years ago based on a simple idea: What if they could harness users from already-established games to do scientific work? With Project Discovery, motivation takes the form of in-game EVE Online rewards. Users look at images of cells taken from the HPA database, classify the different elements of the cell, and then are graded on accuracy against both control images and other users. In return they’re given ISK ( EVE’s in-game currency) and experience, plus new titles and equipment. In-game rewards for participating in Project Discovery in EVE Online. And a month after launch, Project Discovery is looking like a massive success. In the first few hours, EVE players classified over 400 thousand cell elements. That number rose to 2.2 million after a week, and at Fanfest Szantner revealed that they’re now sitting just shy of 8 million. Again, that’s in one month. 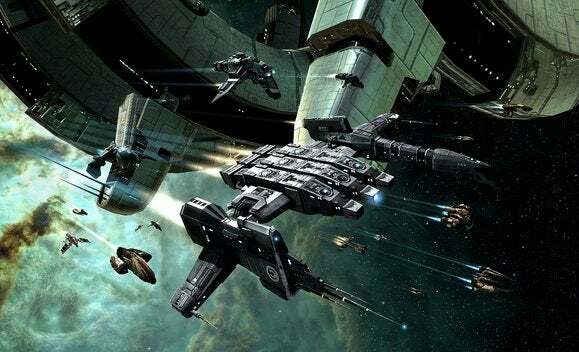 EVE players have already crunched through the entirety of Project Discovery’s first data set, and now MMOS is prepping to run the same data a second time to improve the strength of the conclusions. But it works, and it’s got scientists interested. 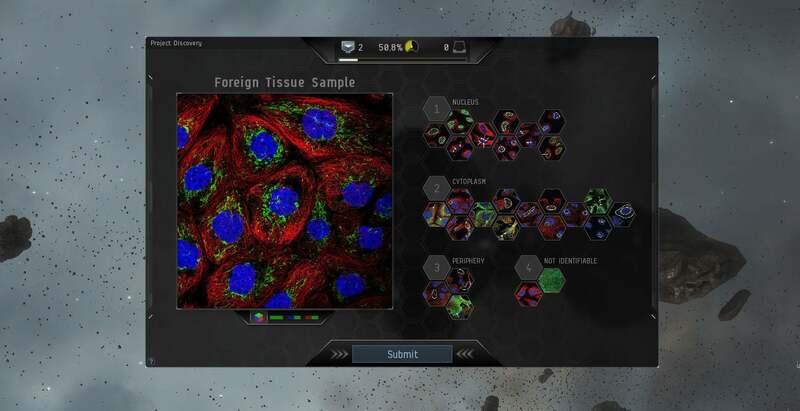 By the end of the year, MMOS is hoping to expand Project Discovery into other data sets, potentially giving players the option of helping with cancer, exoplanet, or even cosmic background radiation research. Not that there haven’t been some weird stumbles. “It didn’t take long for you to realize how to game the game,” Lundberg said with a laugh during her presentation. Soon after Project Discovery’s launch, players realized rewards were given for consensus. The result? Everybody spammed “Cytoplasm” on every image, exploiting the system for rewards while totally ruining the data. That’s fixed though, with Project Discovery tweaking how consensus was reached and removing that exploit. 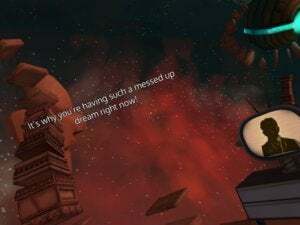 Video games, man. One day scientists may cure protein-centric hereditary diseases though, and it’s incredible to think EVE Online players will have helped in that process. Since launch, Project Discovery has helped identify 109 new protein candidates in what Lundberg called the Rods & Rings category. 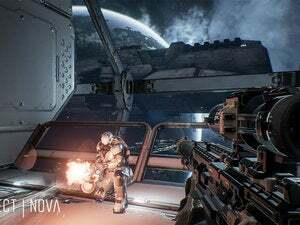 That’s real scientific legwork, done by virtual space pilots. Pretty amazing.